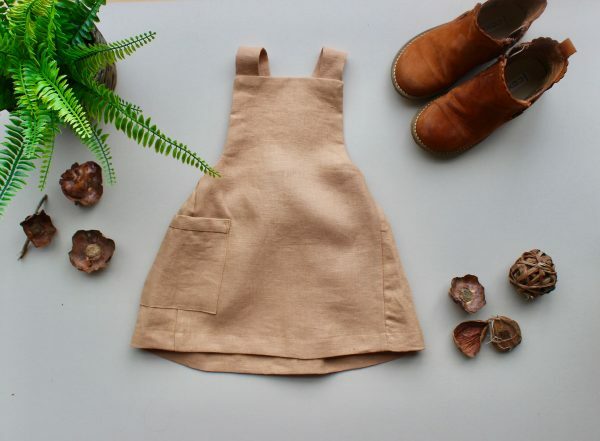 It’s minimal structure, cute side pocket and adjustable button fastening gives this simple yet stylish dress the edge this season and all other seasons. 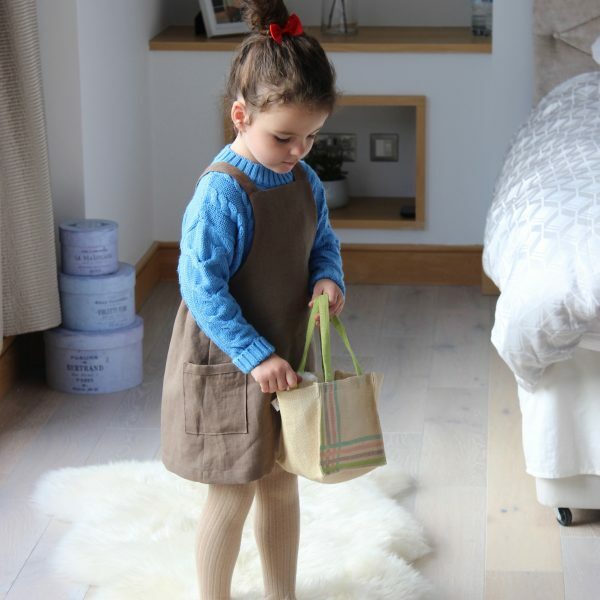 As part of our minimal children’s clothing line, our linen pinafore dress is designed to be worn whatever the season. Made with 100% linen here in the UK. Linen is known as one of the most luxurious materials due to the time taken to weave. 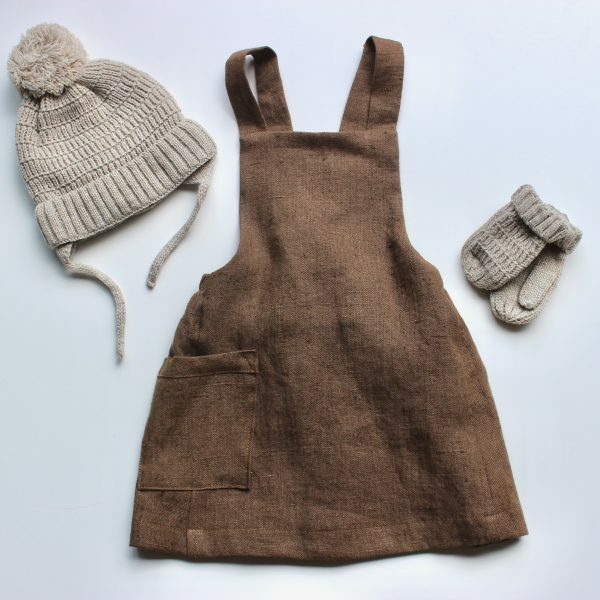 It’s known as being the most durable and toughest material which is a necessity when it comes to children’s clothing. It also has antibacterial properties which is perfect for the most delicate of skins. 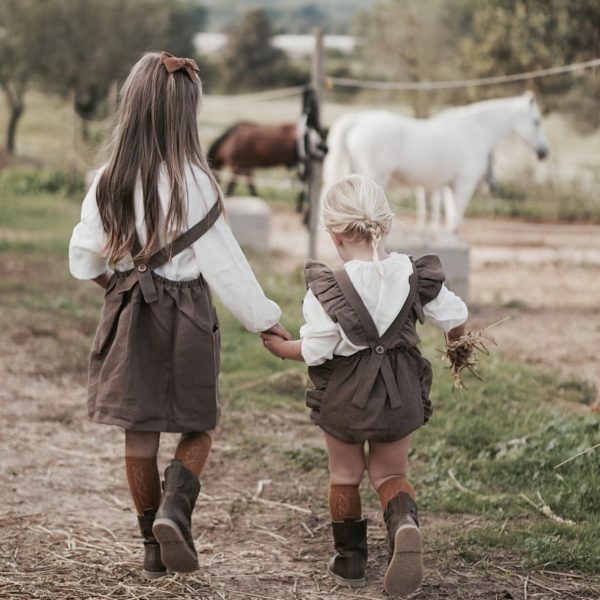 Followers os sustainable luxury clothing, linen is one of the materials that needs no or minimal pesticides or water to grow. It is fully biodegradable meaning it will never sit in a landfill. If that isn’t enough, it becomes softer the more you wash it. Yes it’s machine washable too. As a sustainable luxury brand we design and create clothing that can be worn all year round and that is sized a little larger. Don’t worry if you are not completely satisfied as you can return for a full refund. Please see our returns policy under the about us section.